SFC Steven Edward Pearson (Ret.) died on August 29, 2018, at the age of 59. Steven is preceded in death by his grandparents Charles and Edith Pearson and Floyd and Evelyn Conrad. He is survived by his wife Debbie Pearson; parents Bruce and Brenda Pearson; his sons Justin Clay and Quinn Joseph; step sons Matt Howlett (Jill), Stuart Howlett (Christy) and SFC Benjamin Howlett; grandchildren Shon Howlett, Lilly Howlett, Caroline Howlett, Carson Howlett; brothers Jay Pearson (Koren), Pete Pearson and his sister Jane Harvey (Steve). Steven was born in Corydon, IN, raised in Marengo, IN and graduated from Marengo High School. He served his country proudly in the United States Army, retiring after 20 years. He studied business at Maria College, obtained a real estate license, and was a small business owner, distributing product for companies as large as Snyders of Hanover and most recently Pepperidge Farm, where he will be remembered and missed by all. Steven enjoyed being outdoors and maintaining an active lifestyle. 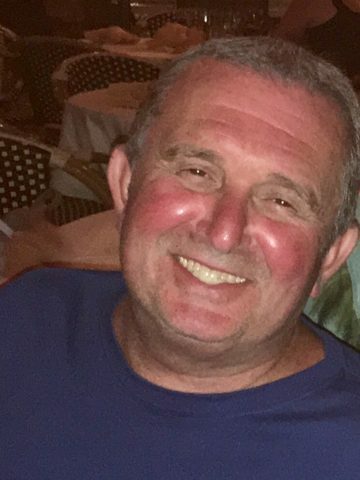 He rowed competitively in upstate New York, was an avid jogger for many years, a skier, and could be found most weekends with friends and family on his pontoon boat. His work ethic was second to none; his motto was “work hard, play harder” and he lived that motto all the way to the end. He could always make you laugh, was a spirited member of any gathering, gave you his honest opinion if you asked and never let anyone settle for less than their best. Steven Pearson lived a good life and he’ll be truly missed by all that knew him. A visitation will be held at Harpeth Hills Funeral Home on Wednesday, September 5, 2018 from 4-8 p.m. A Celebration of Life Service will be at 10 a.m. on Thursday with the interment to follow at Middle Tennessee Veteran Cemetery. Thank you for condolences Brenda Swindle. So very sorry, Debbie. So sad, so unfair. Lean on all of your family and friends for support. Wish I had wiser words to give you. Sending thoughts and prayers to you and your family. Thank you Leigh Anne. Please keep me in your thoughts. So sorry Debbie, my heart aches for you and your family. My thoughts and prayers are with you. Debbie, I am so sorry to hear about Steve. May the good Lord give you comfort and healing during this difficult time. Steve was my cousin. We grew up together he always was laughing and joking. Although I have also seen him mad! Lol! Prayers for all the family! I will be thinking of you all in the coming days. Steve is my nephew. Always a smile on face and very wonderful person. He will be missed. My prayers to all his family and friends. Dear Debbie, I am so so sorry to hear this news! I just now saw this. My heart goes out to your beautiful self and may he rest in peace. Sending you heartfelt love and light. The church family of Marengo Christian Church offers our condolences and prayers for Steve’s family and loved ones during this difficult time. We will be with you in thought and spirit. Is with you through every storm of our life. I pray that our Lord will give you courage so you will not grow weary and battered and know He is always with us. I am so sorry. Once again Debbie I am very sorry for Steve’s passing. I know you are devastated. I know how much you loved him. I am praying for peace, comfort, and strength from God’s grace for you and your family. A lot of people love and care about you so lean on them when you need to. Love you! Sorry for your loss Debbie and family. Praying for comfort and peace in this time. He sounds like a wonderful guy Debbie. Sending my sympathy and prayers to you and the family. I just loved Steve. He was one of a kind. He will surely be missed and I will pray for you and your family to get through this difficult time. Thank you Jayne for your thoughts and prayers. Steve and I shared great times in our younger days squirrel hunting. Early breakfast at the old Van’s Restaurant “downtown” Marengo and heading out to the woods around Crawford County brings back many fond memories that I won’t forget. Glad I had those times together.